The world is getting busier and crazier by the minute. We all get caught up in work, kids, school and life in general. All of the pressures that we encounter can really put us in a tail spin. We could certainly benefit from a simple, safe and easy to use solution. That's why we were so intrigued when came across the BrainTap display and met Dr. Patrick Porter. So many of us want to overcome our major stressors and activate our brain's peak performance. BrainTap has created a headset with seven different technologies built inside to aide with all that we have going on. 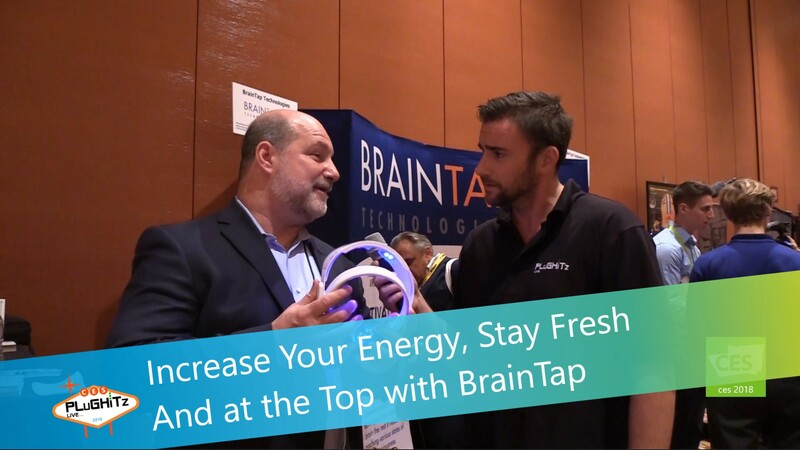 Whether you want to simply instill a positive attitude and get refreshed, want to stop a bad habit, or you need help getting to sleep at night, BrainTap is for you! It's a brain meditation and training tool that can help you get more energy, focus, concentration and more out of life in general. You'll be able to "reboot" your brain in an all natural way. Although Dr. Porter began developing this technology years ago, but it was quite a bit more cumbersome to administer. He now has it down to a user friendly and comfortable head set that anybody can use. Relax your way to better energy and brain health. You can purchase your headset on their website here. There are also a lot of episodes available to help with a wide assortment of ailments. There are also episodes available on Amazon.